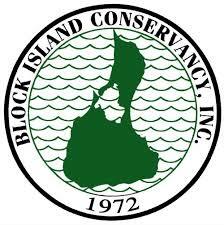 In 1972 the Block Island Conservancy was founded. Capt. Rob Lewis spearheaded this campaign to “Save Open Space”. He was also a member of the Historical Society Board of Directors for many years and was instrumental in having the vision to help the Society launch the plan to move the Southeast Lighthouse away from the eroding bluff edge. The Conservancy and other land conservation organizations are responsible for protecting over 47% of the island from development. Greenway trails have been established across the island. The Society conducts off site tours which include some Conservancy land with historic sites, specifically the Manissean Village site on Great Salt Pond. Tours of the smaller island cemeteries also include walks on the Island’s greenway trails. Sheffield Cemetery off Corn Neck Road , Winfield Dodge Preserve;Palatine Graves and the Lewis Dickens trail includes info about the “Bird Lady” Elizabeth Dickens and her dedication to preserving Block Island’s land and culture. Please inquire as to time and rates.